hello, the fash packers! looky, looky! my blog has a new look. 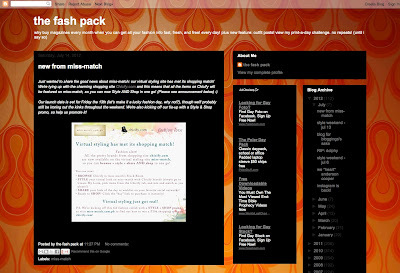 just experimenting for now with blogger's templates. i still have an issue with all these fancy shmancy changes they made, so i'm trying to make peace with it. haaay what can i do? it's free, i don't pay for it, so i can't make demands. just like facebook, if you don't like it, then geddout! so tiis ganda ang pegaloo. for now. ya like it?